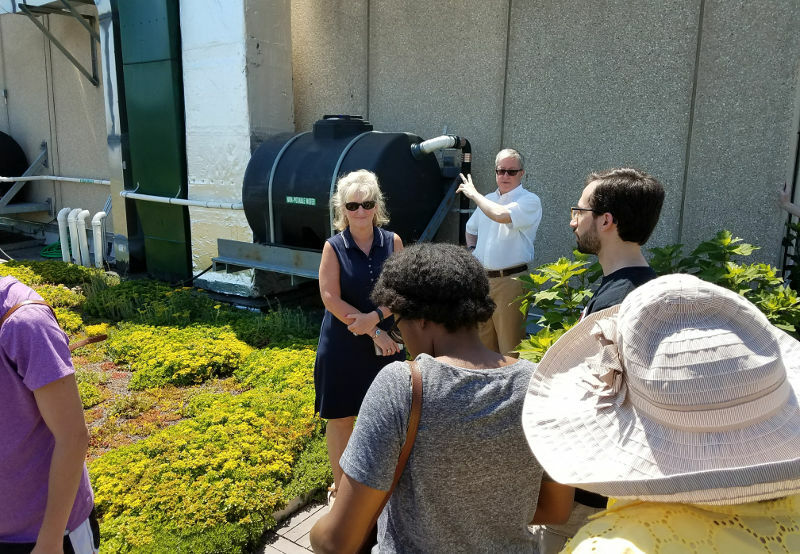 If you have wanted to see UDC’s rooftop farm but haven’t been able to make one of the weekday tours, now’s your chance. 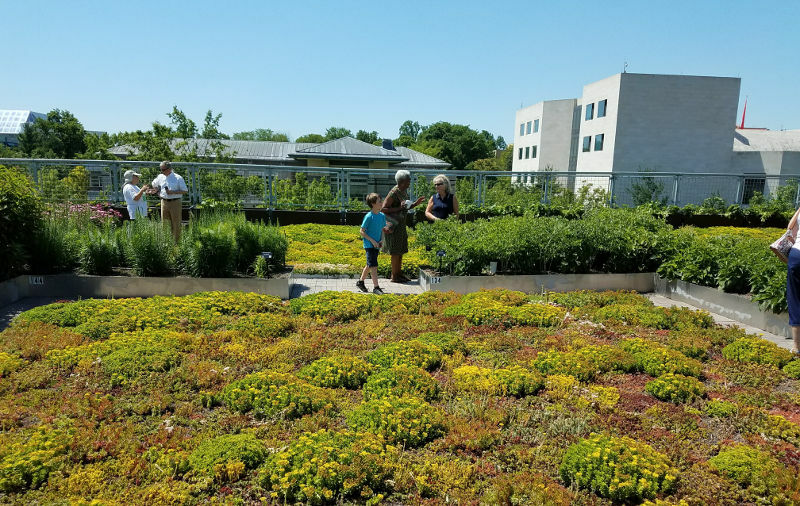 The UDC College of Agriculture, Urban Sustainability, and Environmental Sciences is hosting tours of its green roof and experimental farm on the following Saturdays: July 29, August 12 and September 23. Be sure to register here as space on the roof is limited. Each tour of the roof of UDC’s Building 44 begins at 10:30 and lasts about an hour. UDC Green Roof/Greenhouse Coordinator Sandy Farber Bandier and David Bell, the architect who designed the green roof, will be your guides. Sandy Farber Bandier and David Bell leading a June 2017 tour.